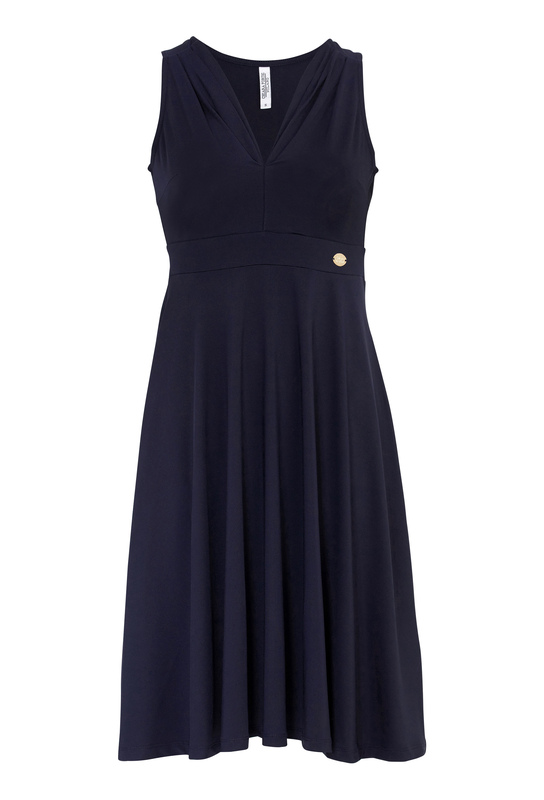 Stylish tricot dress in a skater style from CHIARA FORTHI. The dress has a gathered V-neck and an accentuated waist. Length of garment is 94 cm.